A self-injected smart drug holds out new hope for migraine sufferers who until now have had to grit their teeth and bear the pain of thunderclap headaches. Trial results show that the antibody drug erenumab can cut episodic migraine attacks by more than half in a large proportion of cases. The drug, administered with a self-injection device similar to those used by diabetics, was tested on patients who had failed to respond to up to four other treatments. Trial leader Dr Uwe Reuter, from The Charite-University Medicine Berlin in Germany, said: "The people we included in our study were considered more difficult to treat, meaning that up to four other preventative treatments hadn't worked for them. 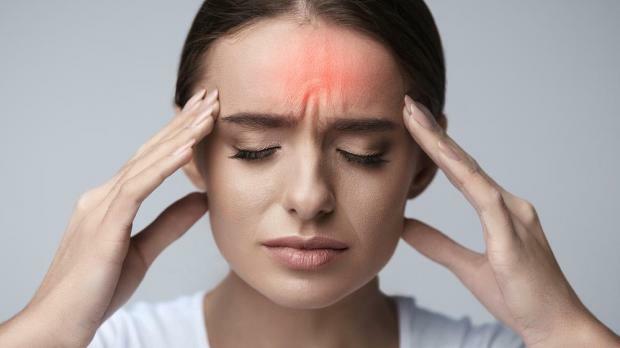 "Our study found that erenumab reduced the average number of monthly migraine headaches by more than 50% for nearly a third of study participants. "That reduction in migraine headache frequency can greatly improve a person's quality of life." Migraine is a neurological disorder marked by headaches that range in severity from moderate to blindingly painful. Other symptoms include nausea and light sensitivity. Each day, an estimated 200,000 people in the UK experience a migraine attack. Attacks can last anything from four hours to three days and may prevent the sufferer from going to work or participating in normal activities. People affected by episodic migraine may have up to 14 headache days a month. For the Phase III Liberty trial, 246 migraine sufferers were given injections of erenumab or a dummy placebo drug once a month for three months. Of the participants, 39% had been treated unsuccessfully with two other medications, 38% with three medications and 23% with four medications. Erenumab, marketed by the global drug company Novartis under the brand name Aimovig, is not yet licensed for use in the UK. Dr Mark Toms, Chief Scientific Officer at Novartis UK, said: "There has been no real advancement in migraine treatment for the past 20 years and we're proud to be breaking new ground in neurology for the millions of people in the UK living with the painful and disruptive symptoms of migraine. "Whilst these data further reinforce erenumab's efficacy and safety profile it also highlights the clear unmet need that exists for targeted migraine prophylactic treatment and we are committed to working closely with the relevant regulatory bodies to make erenumab available to those that need it as soon as possible." The drug works by targeting and blocking a pain-signalling molecule in the brain called calcitonin gene-related peptide (CGRP). The findings will be presented at the American Academy of Neurology's annual meeting taking place in Los Angeles from April 21 to 27.